MDC-T activists -- Ernest Joseph and Lloyd Kaswa -- who settled in Mozambique and changed their citizenship in 2008, had their "houses" burnt by Mozambicans after they returned to participate in Zimbabwe's July 30 harmonised elections as MDC-Alliance polling agents. 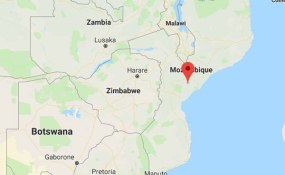 After the elections, they went back to Mozambique where they were questioned by the Mozambicans as to why they participated in Zimbabwe's elections, yet they had Mozambican citizenship. They sought refuge at the homestead of Kaswa's brother, who is an MDC-T district chairman in Muzarabani. A source familiar with the goings-on last night said: "Two Human Rights Commission officials - Patience Ndlovu and Tinashe Makuyana - visited MDC-T provincial assembly secretary for healing and reconciliation, Freddy Matonhodze, at his homestead in Hoya, Muzarabani North constituency, on August 17, 2018. "The two officials who were on a fact-finding mission wanted Mr Matonhodze to accompany them to the homestead of an MDC-T activist Ernest Joseph, which was allegedly burnt on 12 August 2018. The officials could not proceed as they were told that the said homestead was in Mariyahanda Village in Mozambique. "Mr Matonhodze revealed that Joseph and another MDC-T activist, Lloyd Mudimu Kaswa, were chased from their village by Mozambican nationals for participating as Alliance polling agents in Zimbabwe, yet they had Mozambican citizenship. Mr Matonhodze hinted that Joseph's house was burnt by Mozambican nationals just after the July 30 harmonised elections. He added that Joseph and Kaswa were taken by Heal Zimbabwe Trust to safe houses in Hatifield, Harare, on 13 August 2018." In a related development, another source said: "Two Canadian nationals - Sonia Mickevicius and Moise Lokasanpon - who are long-term observers also visited Mr Matonhodze on August 17, 2018. "The two were accompanied MDC-T Muzarabani North district chairman Mr Itai Chamburuka and they revealed that their visit was in response to a WhatsApp message to the effect that four houses, a grinding mill and a motorbike belonging to opposition members were burnt by Zanu-PF members. "Mr Matonhodze, however, reiterated that Joseph and Kaswa's homesteads were in Mozambique and that they had since been taken to safe houses in Harare. "From the look of things, it is clear that the real effort of MDC-Alliance and its NGO sympathisers is to deliberately paint a grim picture about the so-called political situation in the country. They are trying to draw some political benefits from such misrepresentation of facts."